(Ottawa, Ont.) Talent, commitment and leadership are being celebrated today as the Canadian Paralympic Committee announces the selection of six outstanding individuals to the Canadian Paralympic Hall of Fame. 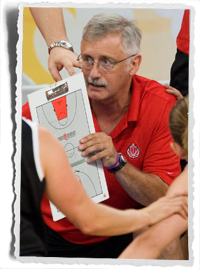 A native of Pender Island, BC, Frick once coached Rick Hansen and Terry Fox and was the head coach of Canada’s national women’s wheelchair basketball team from 1990 to 2009. He led Canada to an 11-year winning streak, an unprecedented three consecutive Paralympic gold medals (1992, 1996 and 2000) and four consecutive World Championship titles (1994, 1998, 2002 and 2006). 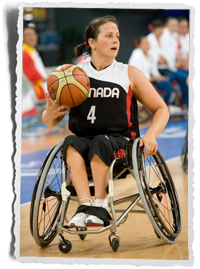 Krempien, of Richmond, BC, was a member of Canada’s powerhouse women’s wheelchair basketball team from 1991 to 2008 and competed at all five Paralympic Games between 1992 and 2008, helping Team Canada win three Paralympic gold medals and one bronze. She was also on four world championship-winning teams from 1994 to 2006 and was a tournament all-star at the 1998 and 2002 worlds.